Get the "Best Deal Guaranteed", the lowest online rates and exclusive rewards by booking at any of our spectacular resorts. Enjoy our flexible payment options and be sure that your amazing suite or villa reservation will be guaranteed. 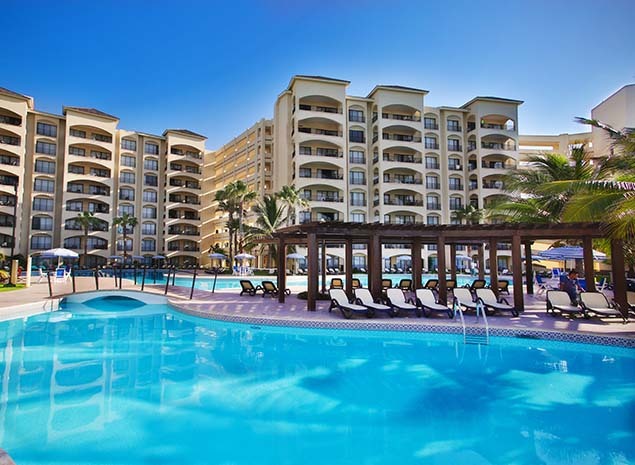 With Royal Reservations you will receive exclusive benefits such as discounts, Resort Credits, free roundtrip transportation, special offers and more. 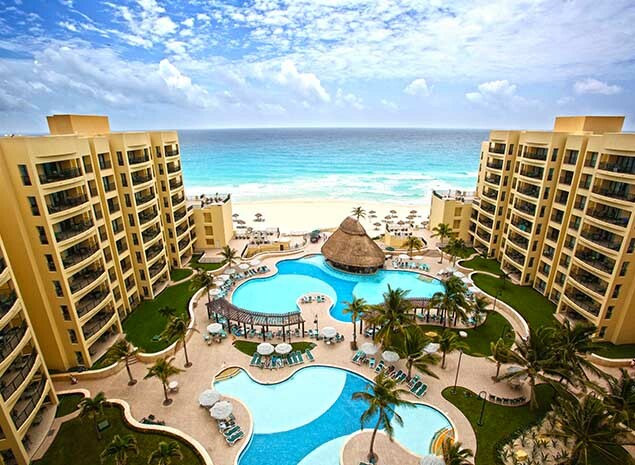 With captivating beaches and a warm sea of beautiful turquoise shades, Cancun is waiting to give you the utmost relaxation and fun. A world class tourist destination, with the best beach atmosphere and lots of fun... Playa del Carmen offers you that and more. In this picturesque fishing village you will relax in front of the sea, while enjoying its delicious gastronomy and unique landscapes. The Riviera Maya introduces you with its idyllic beaches and lush vegetation, accompanied by an incredible culture and activities. The Caribbean environment of Punta Cana, in the Dominican Republic, awaits you to experience an unforgettable adventure. Let yourself be enchanted by Curacao, its wonderful Caribbean beaches and colorful streets full of culture and amazing activities. 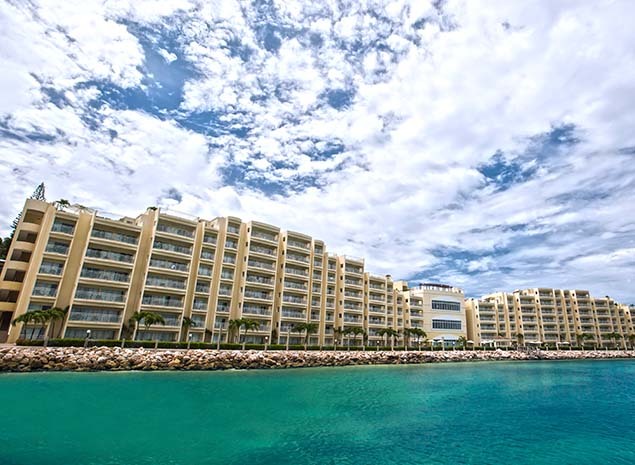 With an obvious charm in the European style of Holland and France, in combination with the beauty of the Caribbean, St.Maarten is here for you. Get our unbeatable Special Deal for your next vacations anytime of the year with accommodation discounts Up to 56% in any of our beach resorts. 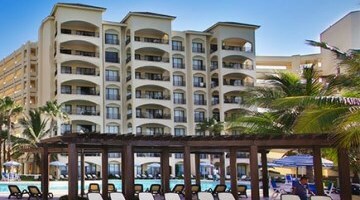 Book now and get up to 52% OFF on your Royal Reservation to stay in any of our resorts in the Caribbean! For a family unforgettable getaway with great perks! 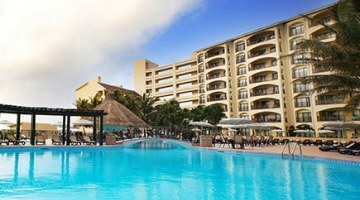 Anticipate your summer vacation plans and get up to 56% OFF in our Cancun or Riviera Maya resorts! 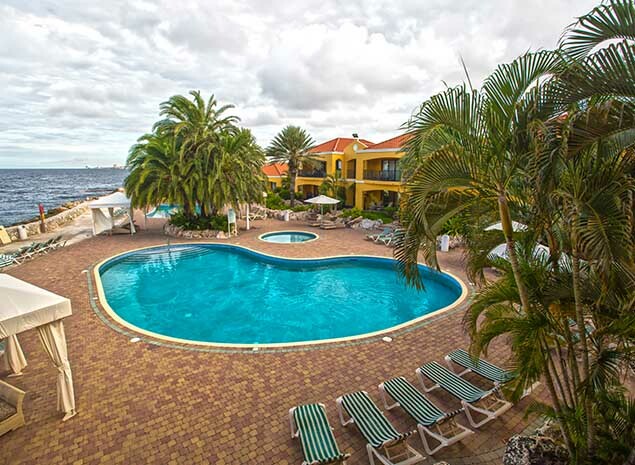 Stay anytime from June 8th to September 20th! Enjoy a vacation experience in one of our resorts in Cancun or Riviera Maya with a special discount of up to 46% & get Two Dolphin Swim Adventure Tours. 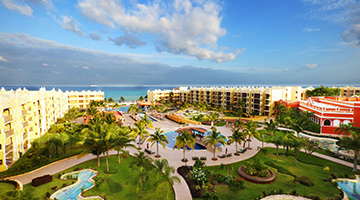 Live a lavish vacation in a luxury beachfront resort in the Riviera Maya, enjoying a 35%OFF and great benefits like Premium airport transportation! Let the breeze surprise you while sunbathing in the soft sands of Cancun, Playa del Carmen and the Riviera Maya, in the Mexican Caribbean. Test your courage and your skills in water and land activities full of coral beauties and all the varied flora and fauna of the jungle. Live the Mayan culture and the best of the Mexican gastronomy in this incredible paradise. 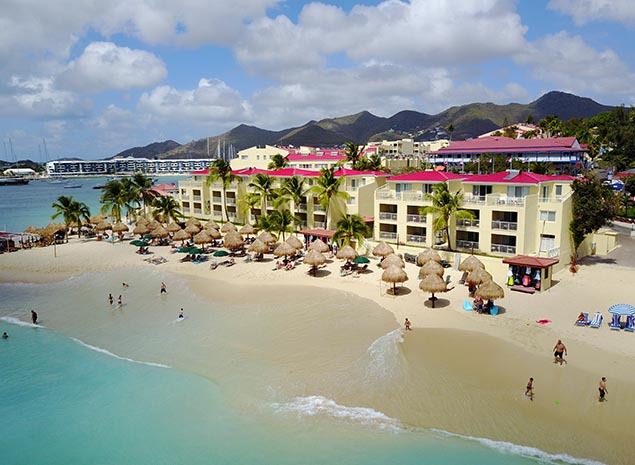 And if you want more fun and relaxation by the sea, we invite you to visit any of the beautiful Caribbean islands such as St. Maarten and its mixture of Dutch, French and Caribbean cultures; Curacao with its colonial architecture and incredible beaches; and Punta Cana offering endless activities and a calm sea of clear waters. 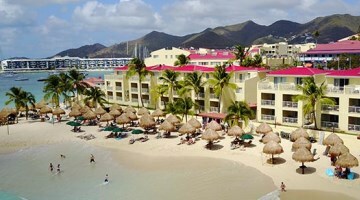 Royal Reservations takes you to magnificent family and luxury resorts, located in the best beaches of the Caribbean. 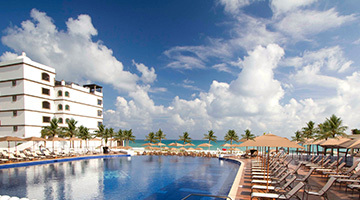 Visit our beautiful beach destinations and experience the comfort, fun and exclusive amenities of The Royal Cancun, The Royal Sands, The Royal Caribbean and The Royal Islander in Cancun; live the Riviera Maya at its finest in The Royal Haciendas; or know the unparalleled luxury of Grand Residences Riviera Cancun. 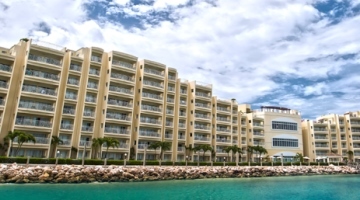 In addition, experience the utmost first class service and facilities at Simpson Bay and The Villas at Simpson Bay in St. Maarten; enjoy the incredible views of The Royal Sea Aquarium Resort in Curacao; and experience the luxury at Casa de Campo and Ancora Punta Cana Private Residence Yacht Club, in Punta Cana. 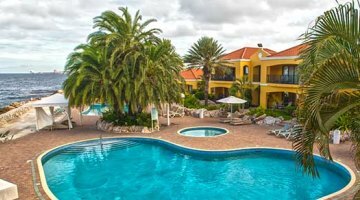 Whether in All Inclusive Plan, Accommodation Only or Breakfast Included, at Royal Reservations you will find the ideal beach front resort for your Caribbean vacation. If you are looking for lovely beaches, fun and great shopping under the sun of the Mexican Caribbean, then Cancun is the ideal place for you. 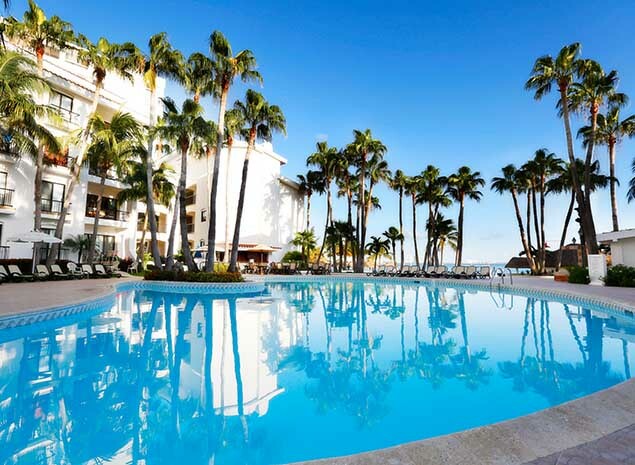 This paradise not only gives you a wide variety of beaches along the Hotel Zone, but also has a long list of amazing activities for kids and adults. You will be amazed by museums such as the MUSA (Underwater Museum of Art), water activities such as snorkeling at Isla Mujeres and the best night entertainment. 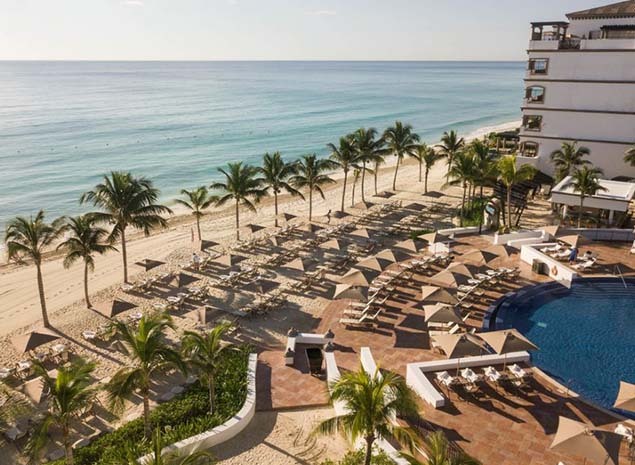 When talking about Playa del Carmen, one of the things that come to mind is its magnificent Caribbean atmosphere, surrounded by a beautiful and relaxing beach extension with clubs and restaurants of all kinds. 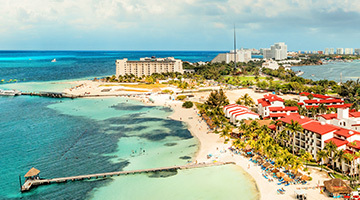 This cosmopolitan place invites visitors to enjoy a walk on the 5th Avenue to discover places like the Founders Park, the best of "fiesta" on 12th Street and great water activities such as snorkeling in Cozumel Island. Framed by lush vegetation, the Riviera Maya tells the story of its ancient settlers, the Mayas, through an incredible cultural offer through its amazing archeological sites such as Chichen Itza and Zamá in Tulum. And for those travelers who like adventures, this paradise has several theme parks such as Xplor, Xcaret and Xelha, to name a few. 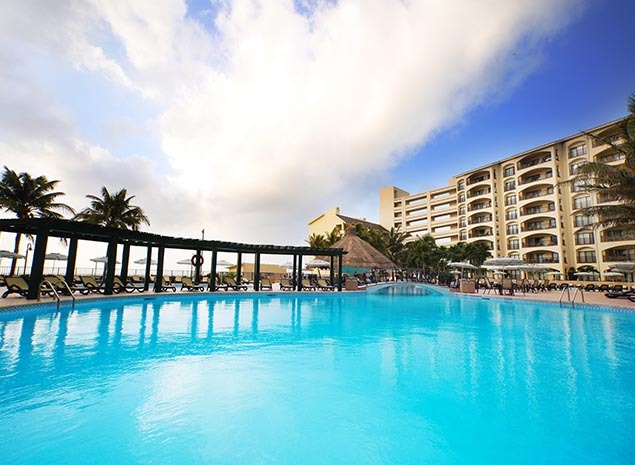 It also has cenotes and beautiful beaches to relax in front of the sea. One of the most beautiful islands in the Caribbean is waiting to be discovered by your eyes. Framed by the incredible turquoise blue of the Caribbean Sea, Curacao presents a colorful Caribbean flavored party on the beautiful streets of Willemstad and its Dutch style architecture. Enjoy its soft sandy beaches and the myriad of cultural and ecotourism activities that this UNESCO World Heritage Island has for you. Between beaches and culture there is St. Maarten… a picturesque Caribbean island that has not only a wonderful blue sea and white sand beaches like Maho, ideal for the whole family and with a surprise that will enchant everyone, but also an architectural beauty born from the combination between the Dutch and the French sides. And wait to see the natural wonders, taste the gastronomy of the island and, of course, experience its warm and relaxed ambiance that will make you feel at home. In addition to a 50 km strip of beautiful beaches to enjoy and a warm climate almost all year round, Punta Cana, in the Dominican Republic, boasts a great variety of unique activities and natural wonders that visitors have to live to believe. Among buggies through the jungle, horseback riding on the beach, fun zip lines, an interesting nightlife and natural parks like the Ecological Reserve Ojos Indígenas, in Punta Cana you will live to the max. 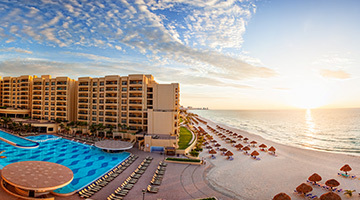 We know our guests spend the best vacations on the beach in every moment; therefore at Royal Reservations we created unique offers and promotions, with incredible discounts for every occasion and any time of the year. It is always a good time to live incredible adventures with your family, your significant other or your friends. 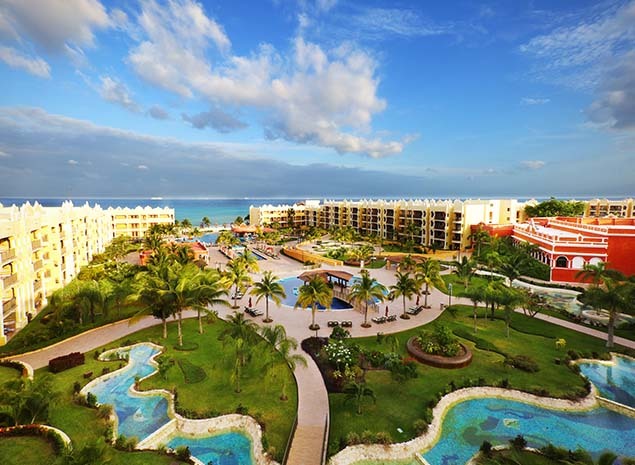 That’s why we boast amazing resorts in the most idyllic and fun beach destinations of the Mexican Caribbean: Cancun, Playa del Carmen and the Riviera Maya, in addition to the beautiful Caribbean islands of Curacao, St. Maarten and Punta Cana.